Everyone know that how to make a blog and also there are millions of blogs in Internet world.But the hard part of blogging is to make it available in search results.I mean making a blog popular is harder work than creating a blog. There are a lot of factors that affect the blog’s publicity.We are going to discuss How you can utilize this factors to make your blog a successful one.Most of the bloggers uses their own ways to make their blog into a great success,But every blogger follows some basic tips that makes a major role in the successful blogging.Let us discuss about the common simple tips that will help a blogger to make his/her blogging a successful one. I would like to repeat the word “content is King” .Try to add new contents frequently and that should be an original one.Before you add anything to your blog ,make sure that it is original not the duplicate one.Duplicate posts will backward your blog in search results.You can add contents into your blog in a manner that makes sure that you have added one post in a week.Updating your blog regularly makes sure that your readers are with you and they will come back to see the update in your blog.Remember that the readers are your customers and write for them. Well, At present the social networks makes a role in every singles life.The giants in the Internet world are trying to make social networks as a tool to attract and hold users.Since everyone is using social network as a tool to attract customers,Why can’t we utilize social networks as a tool to promote our blog.Share your blog and blog posts in all social network as possible. Loading time of a blog is a another one important factor ,Google considers the loading time as a factor for deciding the rank.Try to reduce the load time of the blog as possible as low.It will reduce the bounce rate of your blog.There are a lot of scripts and plug ins available for decorating your blog,But it will reduce your blog quality. 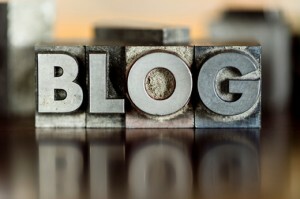 Give a chance to your blog visitors to comment. Also,the comment feature is the best option in the blogging.Just give chance to your readers to add something or express their views.Write a open post and don’t deliver everything you know to the blog post.It will make readers to just read and go to other link.I already made a post on how to increase comments in your blog. 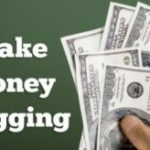 As the title says,blog is not a money making machine or engine at starting.Once you entered into the track it will be a source of your income.But filling your blog with ads at the starting will reduce the ranking and the readers will skip the blog.once you have got a considerable traffic you can start monetizing for make money with blog.You can check the list best advertising networks.